(Yachats, Oregon) – December is filled with cheer and light in the little central Oregon coast town of Yachats, as the Yachats Winter Celebration spreads throughout the entire month. It's a mish-mash of music, holiday crafts, visits with Santa, food, history and even the local lighthouse becomes a beacon of holiday spirit. At the end of the month, dive into Whale Watch Week and take an invigorating nature hike on New Year's Eve. Every Saturday. Saturday Afternoon Tea Service. Holiday tea service each Saturday, including organic housemade treats and tea. The first tea service (Nov 28) will include a reading of A Child's Christmas in Wales, a prose work by the Welsh poet Dylan Thomas. 2 p.m. Alder Bistro. 160 W 2nd St. Yachats, Oregon. 541-547-3420. November 27-29. Galleries Open House. Earthworks, Touchstone, Wave & Dancing Dogs Pottery all celebrate the ninth annual GreenHouse Market Place Holiday Open House. 10 a.m. to 5 p.m. The galleries are located at the north edge of Yachats. 2118 & 2222 Hwy 101. 541-547-4121. December 3. Yachats Big Band Dance/ Swing to the sound of this 17-piece band. $5 suggested donation for adults; children under 12 free. 7 p.m. Yachats Commons, Hwy 101 and W 4th St. Yachats, Oregon. 541-547-4252. December 4 – 6. 88th annual Yachats Ladies Club Holiday Bazaar. Crafts made by Ladies Club members include handknit items, aprons, quilts, afghans, wall hangings, home decor, more. Lunch on Saturday with famous Ladies Club pies. 10 a.m. Quilt raffle drawing at 2 pm on Sunday. Yachats Ladies Clubhouse, W 3rd and Pontiac. Yachats, Oregon. December 5. Breakfast with Santa. Includes all you can eat pancakes, scrambled eggs, choice of ham or sausage, milk, tea, or coffee. Crafts and presents for kids, photos with Santa. Tickets at the door: $7 individuals; $15 families. Yachats Lions Hall. Yachats, Oregon. 541-547-5171. December 6. Five Course Brewers Dinner Event. Yachats Brewing and Farm store. Local, organic, delicious, five-course meal with beer pairings. Limited seating. $75/person. 4 p.m. 541-547-3884 (reservations required). 348 Hwy 101 N. Highway 101, Yachats, Oregon. December 11. 30th Annual Yachats Winter Celebration Opening Ceremony. Official declaration of the opening of Yachats Winter Celebration followed by a brief talk by Mary Claire Crook about winter celebrations around the world. Starts at 7 p.m., includes Sweet Adelines, refreshments. Yachats Ladies Clubhouse, W 3rd & Pontiac. Yachats, Oregon. December 12. Pacific Coast Wind Ensemble, annual Winter Holiday concert. Holiday favorites, show tunes and classical transcriptions, and some ancient Yuletide caroling. Admission is $5; contributions to Food Share are welcome. 2 p.m. Yachats Commons, 441 Hwy 101 at W 4th St. Yachats, Oregon. 541-563-7642. December 12 – 13. 20th annual Victorian Christmas Open House, Heceta Light Keepers' House. About 14 miles south of Yachats, the famed lighthouse keeper's house will be decorated with Victorian flourishes inside and out. Enjoy warm drinks and treats and performances by local musicians. Santa Claus will be there, and Oregon State Parks volunteers will offer historic tours of the lighthouse. 4:00 - 7:00 pm. 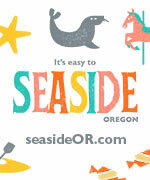 Parking fee $3 or present your Oregon Coast Passport. Near Florence, Oregon. (541) 547-3696. December 13. Community Christmas Concert, by the Chancel Choir, Handbells, Organ and Folk Ensemble. 2 p.m. Free-will donations will go to South Lincoln Resources. Yachats Community Presbyterian Church, 360 W 7th St. Yachats, Oregon. 541-547-3400. Winter Solstice Night Bonfire. The Yachats Academy of Arts & Sciences will sponsor a community bonfire. Refreshments; and musical entertainment is likely. Free, but donations accepted. 4 p.m. Held in the Pavilion behind the Yachats Commons building, W 4th St & Hwy 101. Yachats, Oregon. December 19 – 20. 20th annual Victorian Christmas Open House, Heceta Light Keepers' House. About 14 miles south of Yachats, the famed lighthouse keeper's house will be decorated with Victorian flourishes inside and out. Enjoy warm drinks and treats and performances by local musicians. Santa Claus will be there, and Oregon State Parks volunteers will offer historic tours of the lighthouse. 4:00 - 7:00 pm. Parking fee $3 or present your Oregon Coast Passport. Near Florence, Oregon. (541) 547-3696. December 24. Calling All Kids for Gingerbread! Alder Bistro will offer (free) instruction and a hands-on opportunity for children up to age twelve to construct and decorate a gingerbread house. All children must be accompanied by an adult. 3 p.m. 160 W 2nd St. Yachats, Oregon. 541-547-3420. December 27 – 31. Winter Whale Watch Week. Whale watch interpreters will be at the Cape Perpetua Visitors' Center and Cook's Chasm. 10 a.m. - 1 p.m. Just south of Yachats, Oregon. January 1. 6th annual New Year's Peace Walk. Join the Yachats Trails Committee and fellow trekkers for an invigorating 6-mile round trip walk from the Commons to the Amanda trail and statue where the group will offer blessings for peace in the New Year. 10 a.m. Yachats, Oregon. 541.547.3640 or lsven@peak.org. More about the Yachats area below and at the Yachats Virtual Tour, Map.